Home » Posts Tagged "junking car queens"
Do you have an old car sitting around and are looking for a way to get rid of it? Queens residents know a useless or unwanted car is more than just a major inconvenience, it can also be a danger and a drain on personal finances. Rather than taking up space with a run-down old vehicle, or wasting money keeping a car that you don’t want, get top dollar paid to you when you junk your car. Junking your car will get the vehicle off your hands while also putting some extra cash in your pocket. If your car is at least eight years old, there is no need for you to continue paying staggering repair costs or dreaming of that new car you’ve been wanting, but haven’t been able to justify because of having your older vehicle. The choice to junk your car is a great alternative to trying to sell it or trade it in to a dealership. You don’t need the title or registration, meaning that if you purchased your car off of a friend several years ago, or inherited the car from family and the paperwork is long-since lost, you can still get top dollar. All you need is a copy of your license and you can get paid to get rid of your old car. You don’t even need to bring your car anywhere; New York City Auto Salvage and Glass will come to you. The process for junking your car in Queens is simple. All you need to do is contact us and provide us with the basic information about the vehicle including the year, make, model, mileage and condition. We will then make you an offer based on this information. You can choose to either take the amount we offer you, or reject it. It is completely up to you. Once you have accepted the offer, we will come to you and tow the vehicle away. Don’t worry if your car is not in fantastic condition, or even if it doesn’t start. Because junking companies often use older cars for parts rather than as whole refurbished vehicles, even a car that no longer starts can hold value for us that it doesn’t hold for you. If you have been trying to figure out how to get rid of that broken down or unwanted vehicle, give us a call — 718-297-9797 — or visit us on Facebook and Twitter. 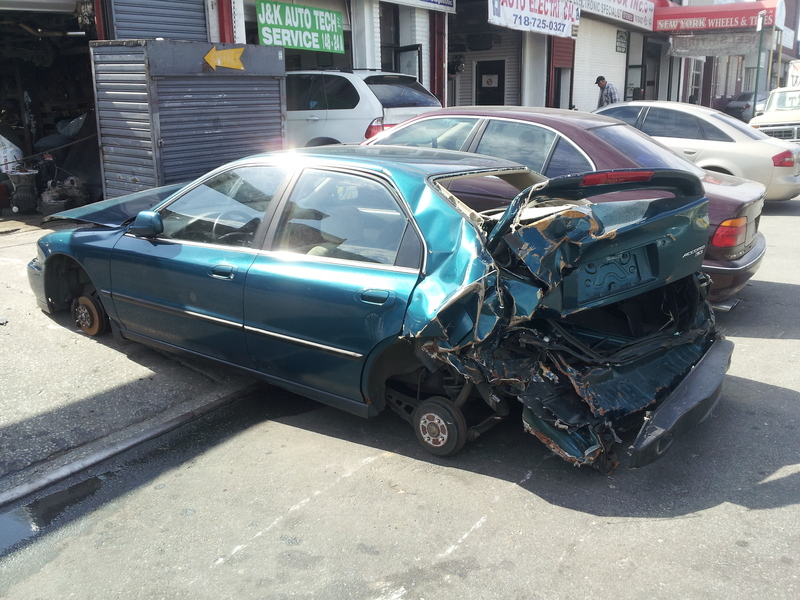 New York City Auto Salvage and Glass will make sure junking your car in Queens, New York is fast and hassle-free! 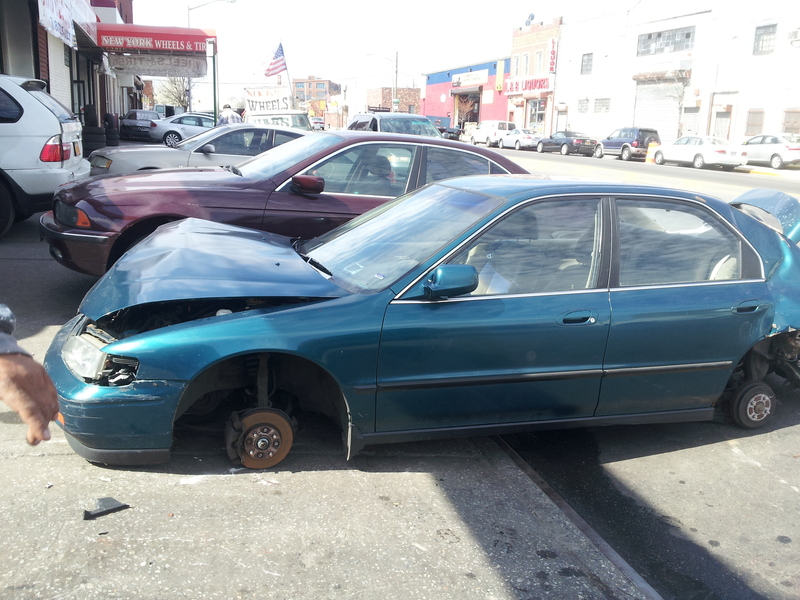 Junk Your Car in Queens, New York for Quick Cash! Purchasing a car is a major investment that you hope will last for years, but these machines don’t last a lifetime. A point will come when your car may still be essentially operational, but you will constantly be struggling to keep it working with expensive repairs and constant upkeep. It can be difficult to decide what to do at this time because you know your car is still working, yet you don’t want to keep paying for the repairs or trying to keep your car running. If you don’t have all of the documentation for the vehicle, however, you may feel as though you have no option for getting rid of your unwanted car. Fortunately, there is an alternative. New York City Auto Salvage and Glass will pay you top dollar to junk your vehicle so you can quickly and easily rid yourself of the vehicle you no longer need or want, and give you some extra cash in the process. Generally selling your car requires several forms of documentation including the vehicle title and proof of registration. If you junk your car, however, you do not need either of these pieces of information. All you need is a copy of your license to verify your identity, and you are ready to get that old car out of your life and move on. It is normal to feel somewhat skeptical about such a transaction. Especially when you consider that you won’t even need to bring your old car anywhere, but rather the company will come and tow it away for you it may seem that this cannot possibly be legal or legitimate. Rest assured, junking your car in Queens, New York is a completely legitimate way to sell your unwanted vehicle for fast, easy cash. Contact us to express your desire to have your old car removed. You will provide certain information about your vehicle such as the make, model, manufacture year, condition and ownership history. This will allow us to come up with an offer to purchase the vehicle. Once you accept the terms of the offer, your vehicle will be picked up and towed away. You may be able to arrange for the vehicle to be picked up without you even being there if this is more convenient for you. Get paid! The amount that you are paid, and how you are paid will vary, but you will get full information before the sale so there will be no surprises. Don’t hesitate to give New York City Auto Salvage and Glass a call — 718-297-9797 — when you are ready for a fast, legitimate alternative for selling your vehicle. Like us on Facebook and follow us on Twitter for more information and current offers!